Archery is a great sport and many understand the benefits of taking a bow while camping, hiking or traveling. Yet if you need to travel by bus, foot, plane or bike, it can be very difficult to carry a full-sized bow and set of arrows with you. PVC plumbing pipe, while an unlikely bow material, allows for compact and effective take down bows to be made. With just a few simple techniques, a simple pipe can be transformed into a powerful and compact traditional bow that can easily fit in a pack or bag. 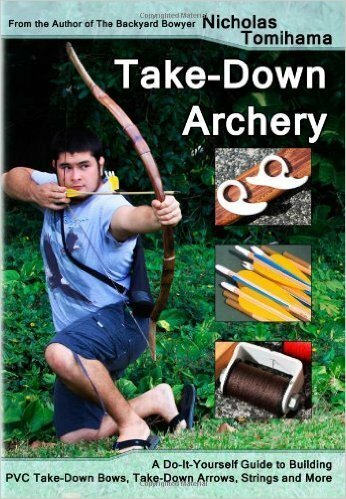 Take-Down Archery will show you how to build your own bows, put together take down arrows, make strings and other essential tools for your own portable archery kit. Form PVC pipe into effective archery bows that break down to a compact size. These bows can be made to fit easily in a bag or pack, making them great for camping, hiking, travel or just transport without worrying about a large bow. 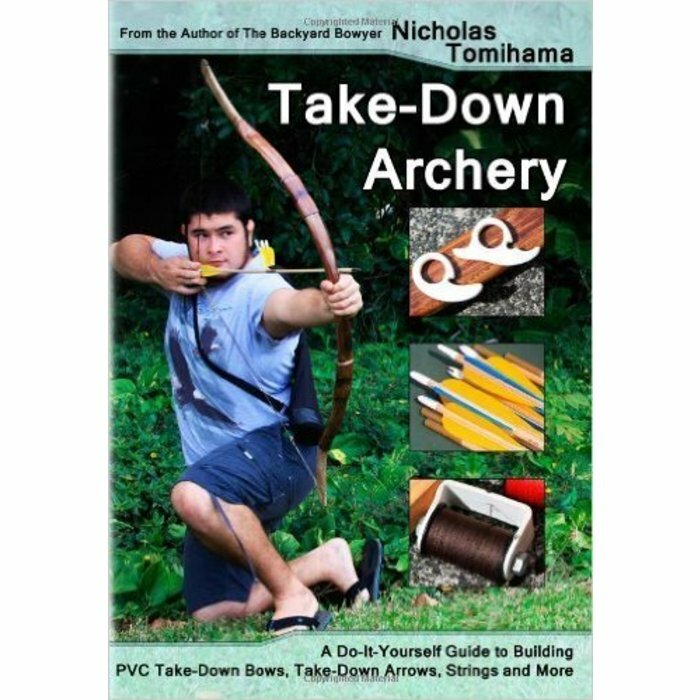 Convert commercial arrows into break-down versions that fit right alongside a take-down bow. Also build a jig for putting feathers and vanes on your own arrows at home or in the field. Build the jigs and tools to help make your own durable and efficient bow strings. Learn to make an endless loop bow string, a basic but efficient and precise string for any traditional bow. Make a simple release aid that saves your fingers and increases accuracy with shorter bows. Shoot both feathers and plastic vanes with a simple flip style arrow rest.